Last week was World Health Day, a global day of awareness established by the World Health Organization. This year’s theme, #HealthforAll, calls on people around the world to step up to work to achieve Goal #3 of the Sustainable Development Goals, Ensuring healthy lives and promoting the well-being for all at all ages. Despite much progress made in child and maternal health worldwide, women and children continue to be disproportionately affected by a lack of access to health care due in large part to stubborn patriarchal gender norms which persist around the world. 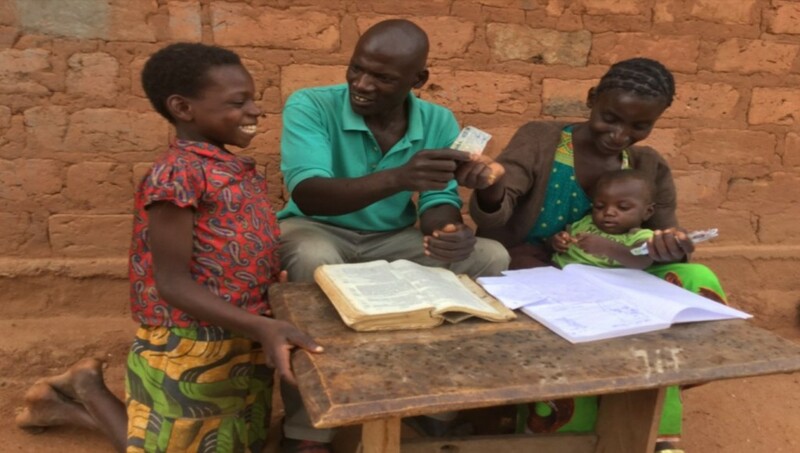 Read more about how gender equality changed one family’s health while participating in World Vision’s gender-lens programming which works to empower men and women within their own faith and cultural traditions to transform harmful gender norms. This article was originally published at www.worldvisionphilanthropy.org. Gender equality is essential to human development. Many women in Zambia have suffered unequal treatment simply because they are female. Josephine (28) of southern Zambia, is one of these women. Josephine is a highspirited woman with a great passion for life. She is married to Masumo (32) and they have three adorable children: Eleanor (11), Tandiwe (4) and their youngest, Moses, who recently celebrated his first birthday. Josephine and her family reside in the small mountainous village of Namweemba, located on the western part of World Vision’s Hammaundu Area Program. To make ends meet, the couple grows cash crops like cotton, corn and cowpeas. In her teens, Josephine dreamed of the day she would find a loving man to marry and start a family. However, once married, she was not so sure. “I always looked forward to the day I would get married, but things were different from what I expected them to be after Masumo married me and I fell pregnant with our first child, Eleanor,” she says. “My husband made me work on our farm throughout my pregnancy. I would work from morning till late in the afternoon every day without food. When I got home, he would make me cook food which I was not allowed to eat. I only ate his leftovers,” she explains. Josephine was also denied all the pregnancy care that a woman in this state deserves. Her husband never allowed her to attend antenatal lessons or deliver from a health facility. “I could not eat, bath or rest unless he told me to. It was as if I was a slave in my own house,” she says. By the time Josephine was having their second child, Masumo had completely stopped providing for her and the children. “Things got worse when he stopped giving me money after selling part of our harvest. He would go away for days without leaving any food for us. We were living in poverty even though we worked so hard,” she says. “I used to mistreat my wife especially when she was pregnant. I was a womanizer who spent all my money on other women,” says Masumo in a somber tone. For Josephine, her nightmare ended last year. World Vision trained the local headman, Mr. Clive Moonga, in gender equality issues. He started visiting and counselling Masumo and Josephine on how to live as man and wife without looking down on each other. “The headman taught us many things. He taught us how mistreating each other could destroy our family. He also taught us about seeing each other as partners,” Josephine says. “Yes, he taught us a lot,” Masumo adds. “He taught us about the importance of working together and living together as man and wife. He even encouraged me not to see my wife as a servant or vessel to work.” Following several counselling sessions, Josephine’s husband miraculously began to change and act more like a partner than a master. They began to live in harmony. “After the counselling, we became closer to each other and started doing everything together. We ate together, worked together, planned and used money together,” she says. “I am grateful to World Vision for empowering our leaders with knowledge that is saving lives and homes. My husband no longer beats me…he now helps me with work around the house when I am tired,” Josephine says. “For the first time, my husband has allowed me to deliver at the hospital – he has really changed,” she adds.